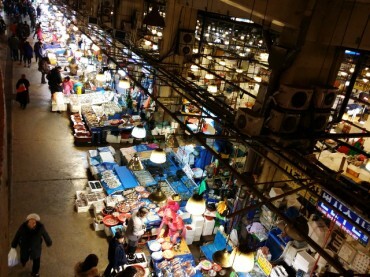 SEOUL, May 9 (Korea Bizwire) – Augmented reality is becoming one of the hottest trends in South Korea’s retail sector following the worldwide success of Niantic’s Pokémon GO, offering local consumers a unique yet more convenient shopping experience. Last month, Hanssem, a leading home furnishing company, equipped its mobile shopping app with an AR service, allowing customers to virtually place Hanssem furniture in their home before placing their final order. “It’s a win-win for businesses and customers since there are fewer refunds or exchanges,” said a company official. 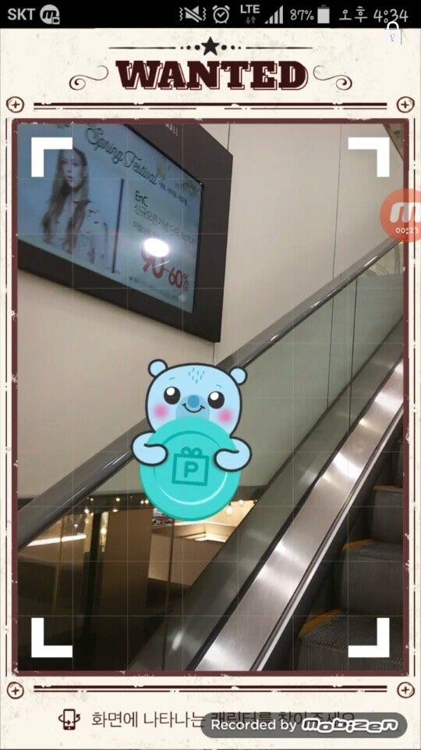 Similarly, Lotte Hi-mart introduced an AR service to its mobile app in April dubbed “AR Showroom.” According to the electronics retailer, some 50 models in six product categories, including air conditioners and televisions, are available for virtual furnishing, and officials said the company plans to expand the repertoire in the coming months. Virtual fitting is a technology that is quickly spreading across the fashion industry, allowing consumers to try on clothes via either a mobile app or through a smart mirror placed at offline outlets. 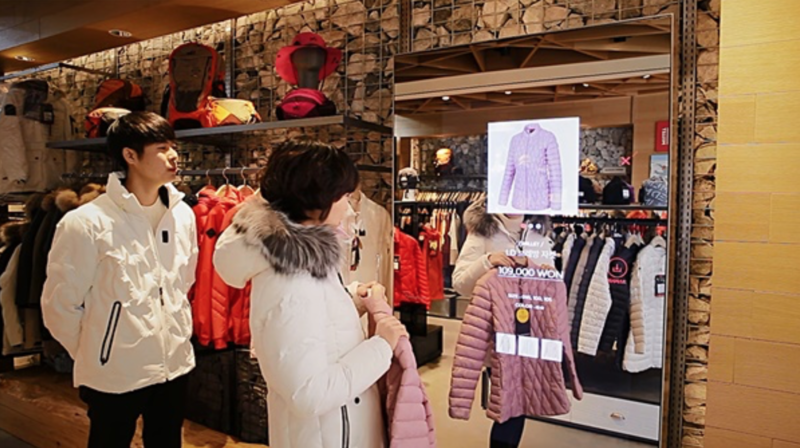 Sportswear company MEH, however, took this idea even further, incorporating additional smart technologies at its select shop The Ridge 354 in Pyeongchang. In addition to a smart mirror for 360-degree virtual fitting, the store has a smart brochure that recommends clothing items based on a customer’s shopping patterns, and a smart hanger to provide the details of a product that a shopper picks up, using an IoT sensor. 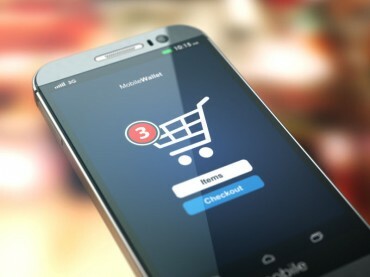 “With consumption trends shifting quickly from offline to online, offering a unique offline shopping experience has become more important than ever,” said senior director of planning Jung Jae-hwa at Millet, a MEH brand. AR marketing has also become a common tool for retailers to attract shoppers to their doorsteps. 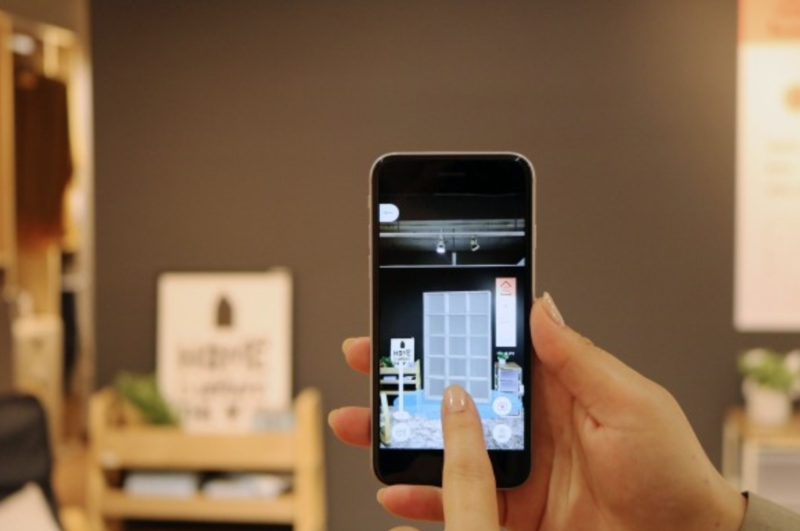 E-Land Retail, for instance, introduced an augmented reality game called “Mirijoom” in April, in which shoppers can hunt for hidden animals at 50 E-Land outlets across the country. During the limited-time event, sales jumped by 24 percent compared to the same period last year, the company said. Other retail giants have launched similar events. Lotte is currently offering the AR game “World Tower Mall GO,” where players complete different missions at the newly built Lotte World Tower and Mall for a chance to win discount coupons and a round-the-world plane ticket. E-Mart was the first discount retailer to introduce an AR game in December of last year with “Electro Man Touch Attack,” named after the company’s Electro Mart franchise. High-ranking players of the game – who defeated enemies with “energy” points accrued from Electro Mart outlets – were rewarded with discount coupons and prizes including mini drones. 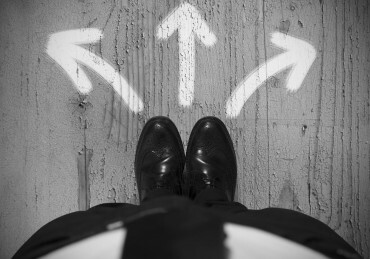 I agree with all points because every industry wants to grow his business and that purpose business that will support their technology and make the right investments will be taken care of by their technology down the road.